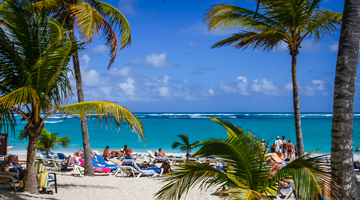 The Dominican Republic is considered to be one of the safest and friendliest Caribbean holiday destinations. Moreover, this tropical land is one of the most beautiful exotic places featuring turquoise sea water, dazzling white and fine sand, wild palm tree forests and breathtaking underwater world. We have been on different regions of Dominican Republic and we are totally convinced that this country is blessed with an unrivaled beauty. What we most like is the mix of striking Caribbean landscapes, good all-inclusive hotel prices compared to other destinations in the region, luxury accommodation and blasting entertainment. 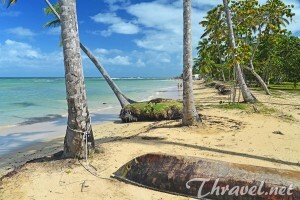 If you have not been to the Dominican Republic before, then Punta Cana, on the island’s east coast, is the best option. Hundreds of luxury all-inclusive hotels surrounded by rich tropical vegetation are waiting for you. Punta Cana is a good starting point for daily trips to the most beautiful places in the region -Saona Island, Peninsula of Samana, and Chavon River. 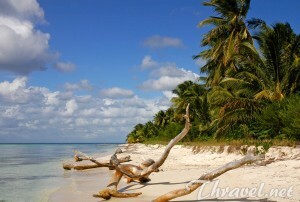 La Romana is an area located just 19 miles (30 km) from the capital city Santo Domingo. It borders with the National Park of the East (Parque del Este). 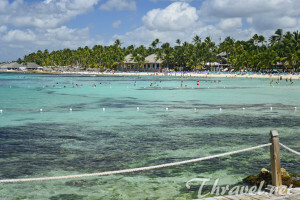 Here the Caribbean Sea is calm and very friendly to swim. 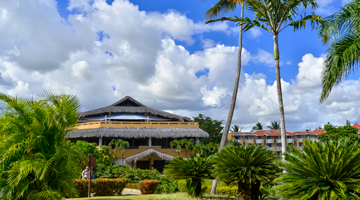 The Peninsula of Samana is an unspoiled tropical paradise with a few resorts. The focal points of the area are the National park Los Haitises and the possibility of whale watching. The Dominican Republic is a year-round destination but the best season is from December to April. If you can afford hotel prices and airfares, you can enjoy the natural beauty in its best form – clear skies, calm water, and sunny days. Although July and August are considered a high season period, this is the time when lots of rainfall occurs. Many daily tour options are not available because the sea is choppy and rough. Furthermore, the wet season is not the best for snorkeling. Yet, the least convenient months for a Caribbean vacation in Dominican Republic are October and November.